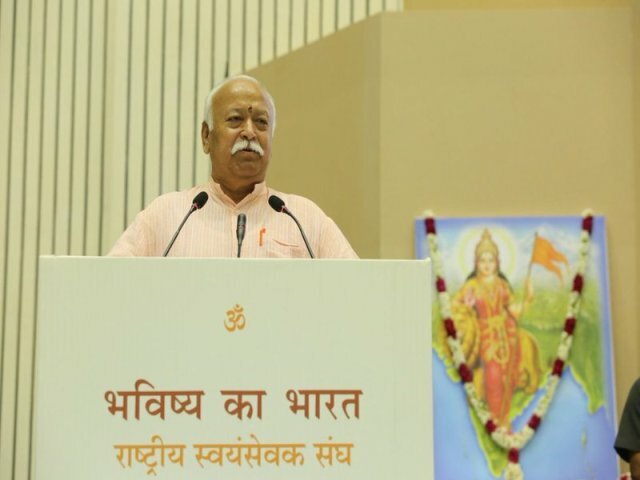 Nagpur: The Rashtriya Swayamsevak Sangh (RSS has welcomed the Supreme Court’s decision to hear the case on whether Ram temple can be built on the disputed land at Ayodhya. Paving the way for the final hearing of main Ayodhya case on Oct 29, the Supreme Court on Thursday refused to re-visit its 1994 verdict which had stated mosque was not important for Muslims to offer prayers. The verdict has been passed by 2:1 majority. Justice Ashok Bhushan, who read the judgement on behalf of himself and Chief Justice of India Dipak Misra, said the bench will have to find out the context in which the top court had passed the verdict in 1994. On Oct 29, the top court will hear the plea against the Allahabad High Court’s verdict which divided 2.77-acre disputed Ayodhya land among Ram Lalla, Sunni Waqf Board and Nirmohi Akhara. The apex court will decide whether Ram temple can be built on the same disputed land, where Babri Masjid stood till 1992. In 1992, the Babri Masjid was brought down by several right-wing volunteers who believe Lord Ram was born at that land. The verdict, if passed prior to 2019 General Elections, will boost up the BJP, whose political commitment was building the Ram temple in Ayodhya.